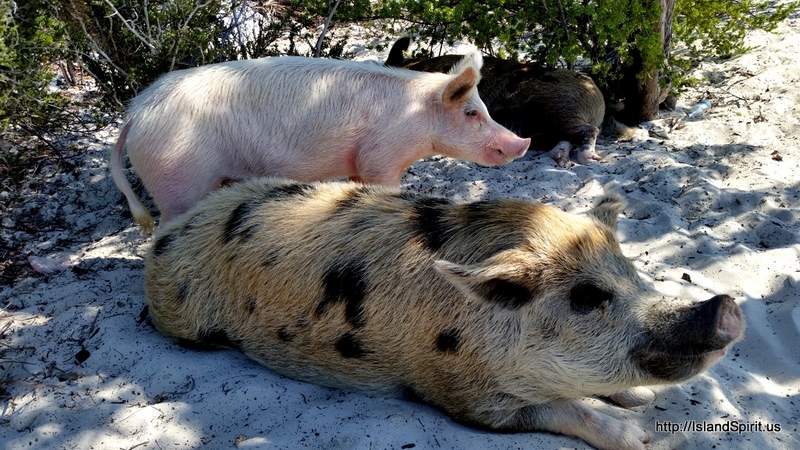 Pig Beach, as it is nicknamed, is located on Big Major Spot next to Staniel Cay and is a very, very popular stop. 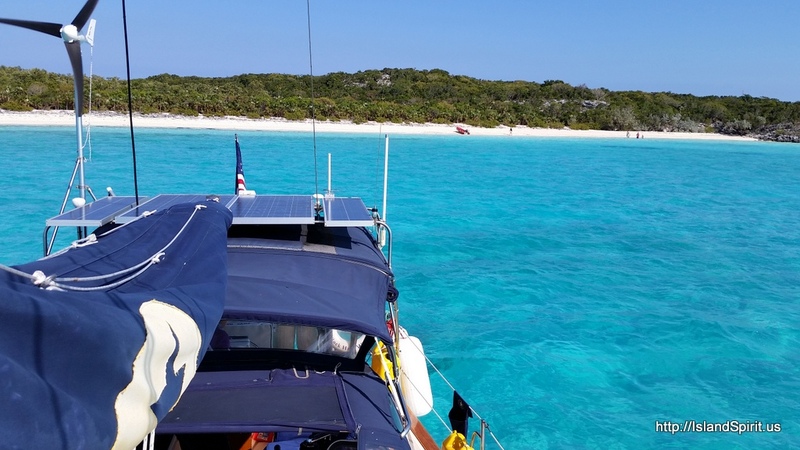 We have seen mega yacht guests, speed boats with four 400 HP engines, sport fishing boats of all sizes, dinghies and even sea planes beached to see the pigs! 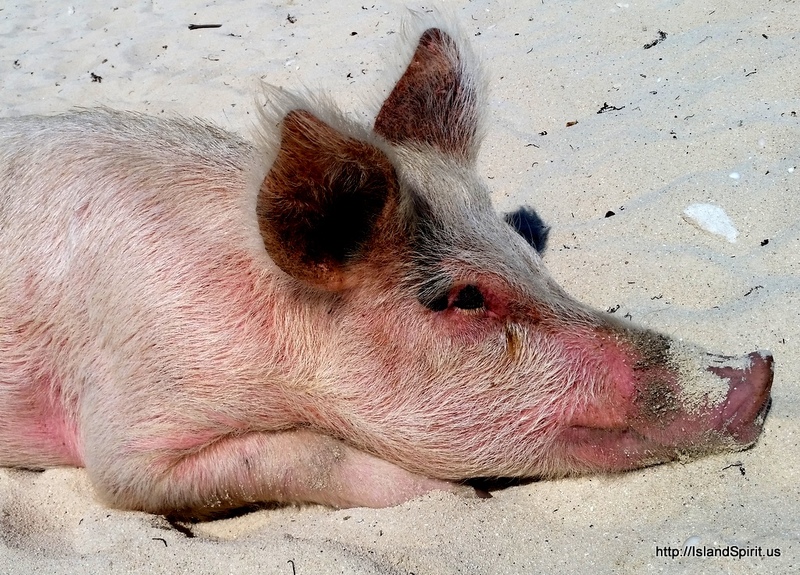 AMAZING that pigs on a sandy Bahamian beach would create such a tourist destination! These are not feral animals; they were put here years ago by residents of Staniel and are used for meat, having been fed by tourists and mega yacht crews. It is suggested to bring produce and other table scraps, but no meat. 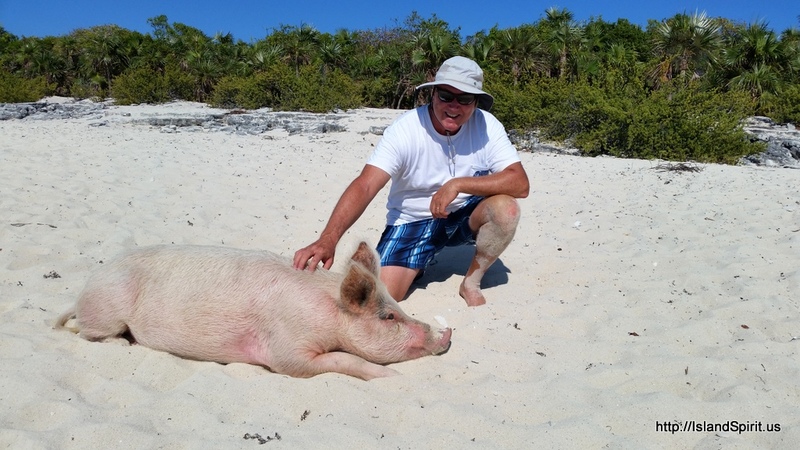 Due to the popularity of Pig Beach here, Green Turtle Cay in the Abacos has started their own pig destination and have named it Piggy Beach. We enjoy this stop but are always cautious about feeding the pigs. I have seen people bleeding from pig bites, because the pigs get excited for food and sometimes become aggressive. So, we usually just walk the beach, check them out and take some fun photos. This year there are chickens and roosters on the island now, so we are awakened predawn by the roosters and then eventually the squealing pigs. 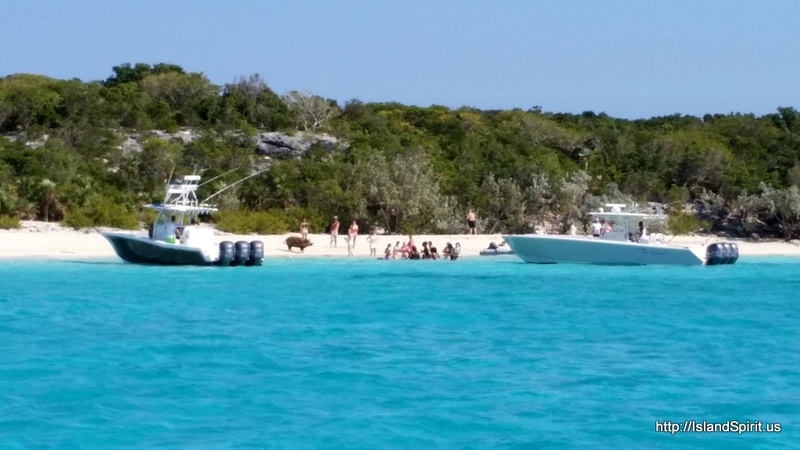 It is different here, and we enjoy being anchored about 100 yards right off Pig Beach where we can watch all the crazy fun action. 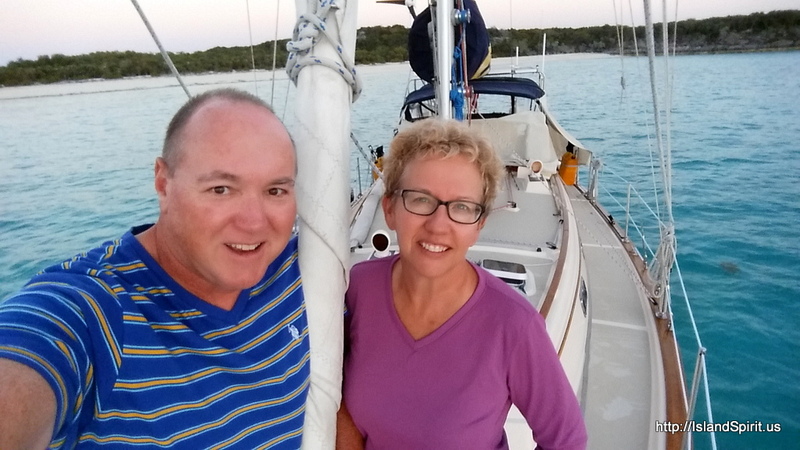 So, when you sail into the Exumas, make sure you add Big Major Spot and Staniel Cay to your list of stops. M/V Lady S, rents for $385,000 per week, they came to see the pigs! 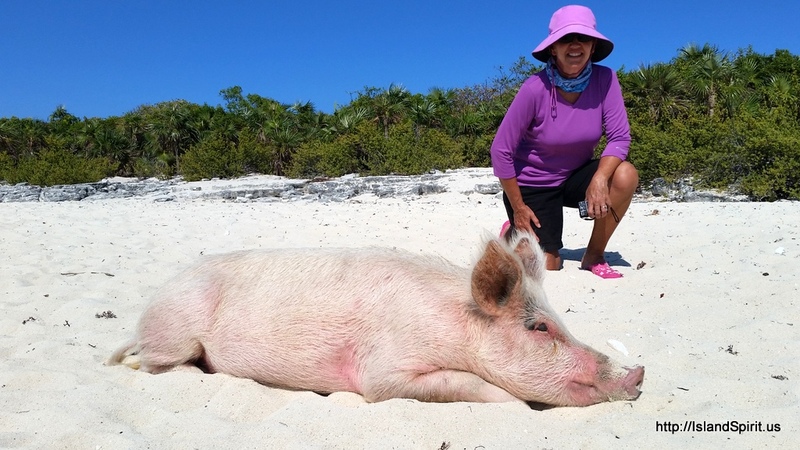 Sea Plane beached to feed the pigs, then the pilots went swimming. We are enjoying this area immensely. Thank you for sailing along. Here is our location, click the Google Map Link and explore. Now that is my type of place! I'll bring the barbecue sauce! So funny!! I'd heard about this, but didn't really know the full story. Thanks for a fun post!